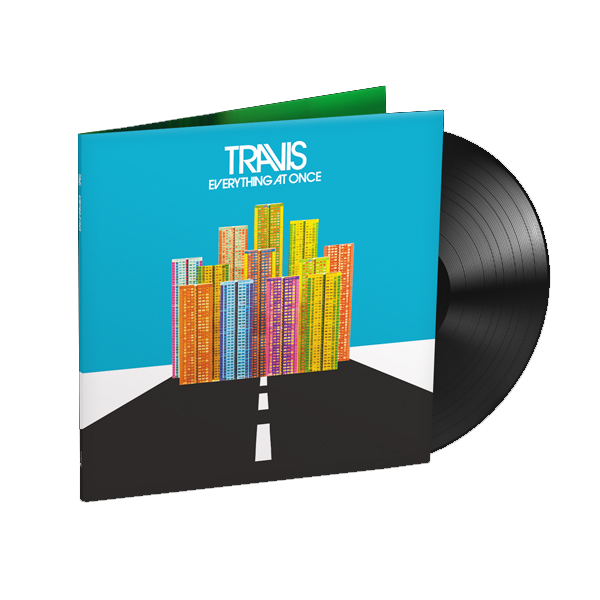 180g Gatefold Vinyl album including download album format. Everything At Once’ is the brand new ten track studio album by Travis released on their own label Red Telephone Box and features the new single ‘3 Miles High’ a beautifully understated and uplifting acoustic track, featuring backing vocals from up and coming Norwegian artist Aurora. Written by Travis and produced by Michael Ilbert at the legendary Hansa Studios in Berlin, ‘Everything At Once’ positively overflows with conviction and confidence; pushing boundaries while maintaining their classic sound. Includes instant download of the tracks "Everything At Once", "Magnificent Time" and "3 Miles High".